A different policy applies to confirm bookings over 300€. To confirm your booking, you will need to provide 30% of the total amount in advance. Payment can be through credit card or we can give you our bank details for direct debit. Your booking will be confirmed once payment is received. FREE DINNER, FREE NIGHT TOUR, FREE MORNING SNACK AND FREE WALKING TOUR, THAT´S OUR PHILOSOPHY. We offer an unbeatable location, just one minute walking from the Cathedral and Alcazar. 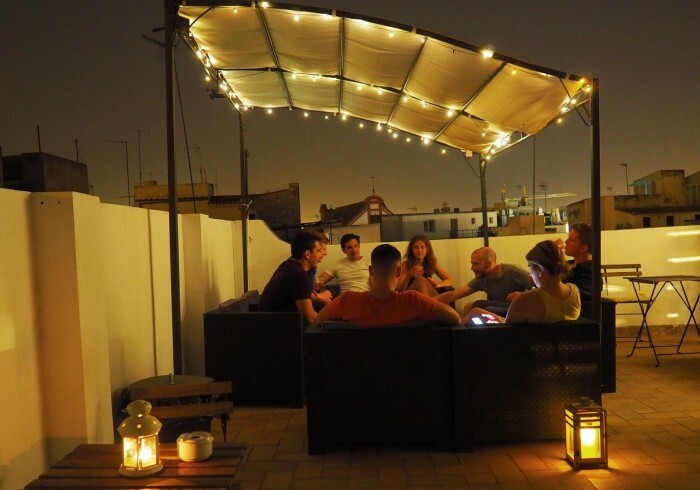 Our concept is clear, we are a social hostel with amazing people, activities and the best atmosphere to make your visit to Seville unique.